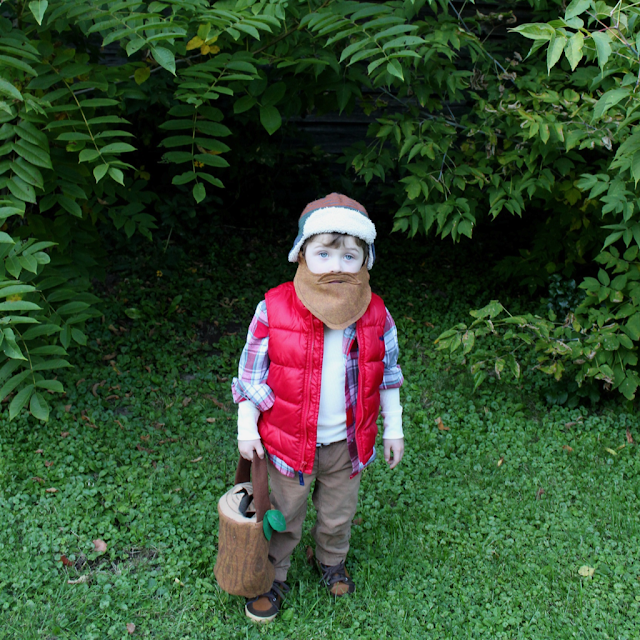 I wish I could take credit for the lumberjack costume, but I can't. 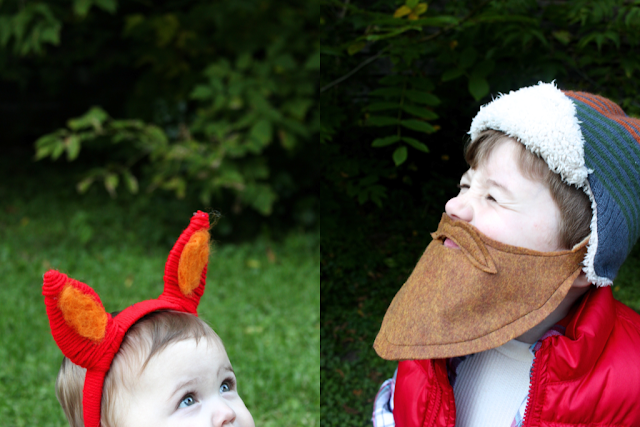 My sister made the beard and the log bucket out of felt (over her lunch break) per my request last year for Halloween. 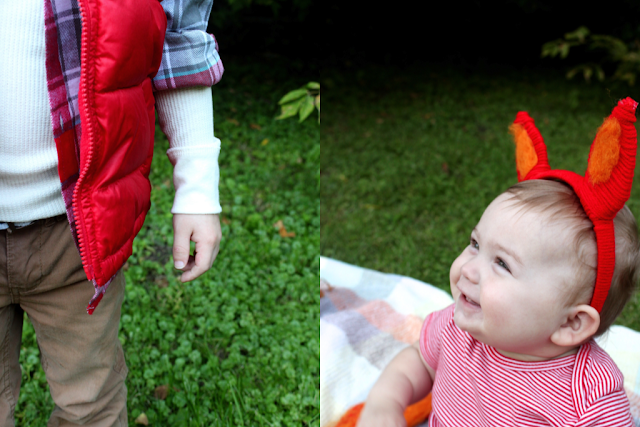 I was sad that I was missing Halloween with Parker* and admittedly worried that he would end up dressing like a power ranger or spider man. So I enlisted Meghan to fulfill my lumberjack plan. He was so proud to show me his costume and told me all about his trick or treating adventures of last Halloween. 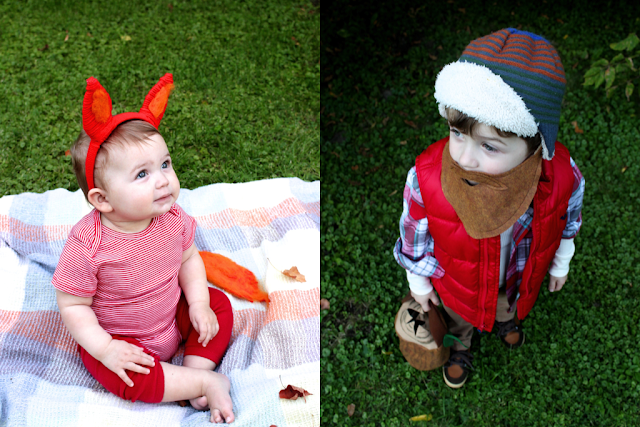 And what better companion is there for a lumberjack than a fox? Simply cut ear shapes out of cardboard, glue them to a headband, and wrap them with yarn. 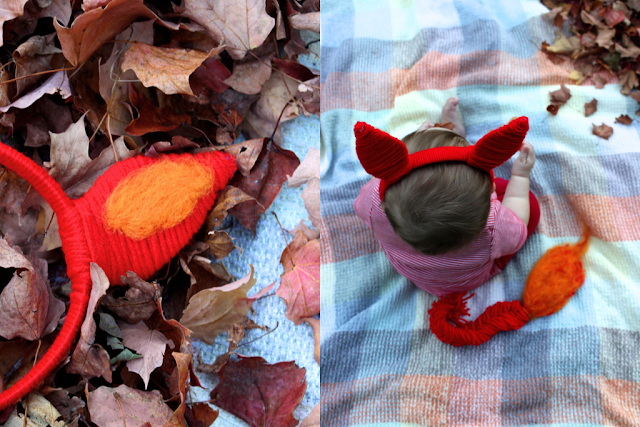 Mine were looking a little too much like devil horns, so I added orange felt with a felting needed. 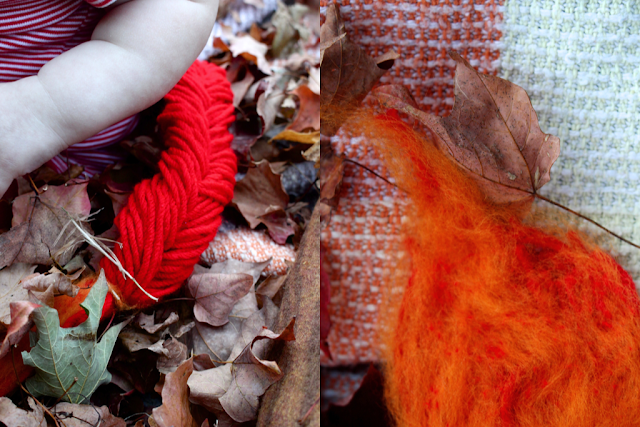 For the tail, I fishtail braided a thick portion of yarn and then finished the end with the same orange felt. 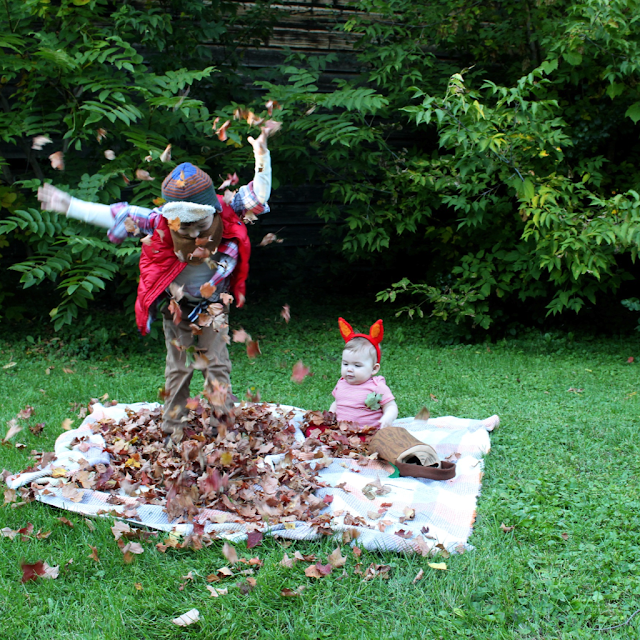 Spice up this costume by adding face paint, a tutu, or even an orange felt bow in between the ears. *Parker was staying with family in Montana, while we were in the hospital with Matilda.